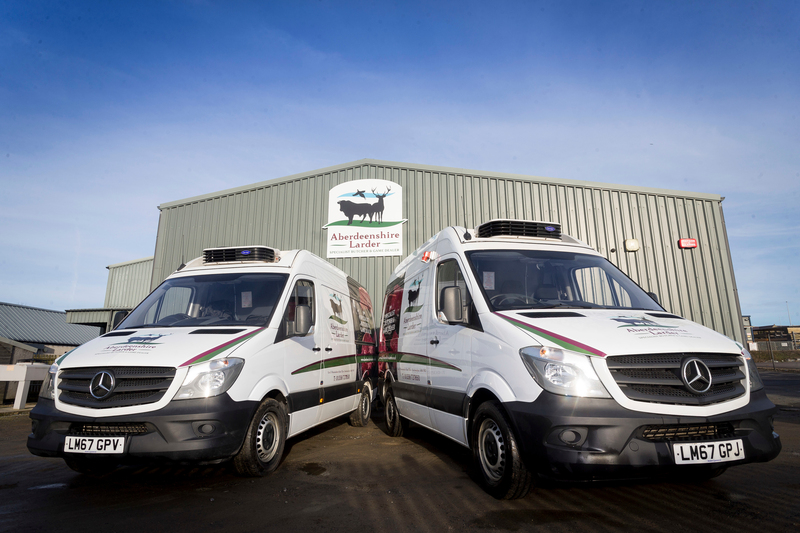 Fraikin has signed a conquest deal with butcher and game dealer Aberdeenshire Larder for five refrigerated 3.5-tonne Mercedes-Benz Sprinter vans on full-service contract hire, marking the first time both companies have worked together. The new assets join a seven-strong fleet and replace older variants previously on contract hire from another supplier, alongside two light commercials owned by the customer. They will deliver fresh and frozen meat products to catering and retail customers across mainland Scotland six days a week. Key to securing the three-year agreement was Fraikin’s ability to proactively manage all maintenance and servicing around the customer’s hours of operation, despite the fleet’s intense delivery schedule. All maintenance and servicing will be managed by Fraikin through an approved third-party provider, ensuring each vehicle is back on the road as soon as possible. Each Mercedes-Benz Sprinter van will clock up 50,000 miles a year from Aberdeenshire Larder’s main headquarters in Ellon. They are fitted with a Carrier Transicold Xarios refrigeration system which helps to maintain consistent temperatures during the company’s intense multi-drop delivery operation. Aberdeenshire Larder works with small to medium-sized independent food businesses and offers a wide range of meat products and locally-sourced wild venison and small game. It also has an on-site butchery team that supplies a daily selection of fresh burgers and sausages.